I hope everyone had a fabulous Mother's Day. Colt and the kids sneaked out of the house early in the morning to run to the store and surprised me with a gorgeous bouquet they assembled. It has to be one of the prettiest bouquets I've ever received! They were a little disappointed to come home and find me awake because the dogs had a dog fight over a bone outside my bedroom door. I still don't know why they were choosing to fight over it because their was a larger bone in the other room, crazy dogs! Then they assembled a picnic including this favorite Summer Berry Fruit Salad with Honey Lime Glaze and took me to a favorite park next to a lake to enjoy the gorgeous weather we've been having. 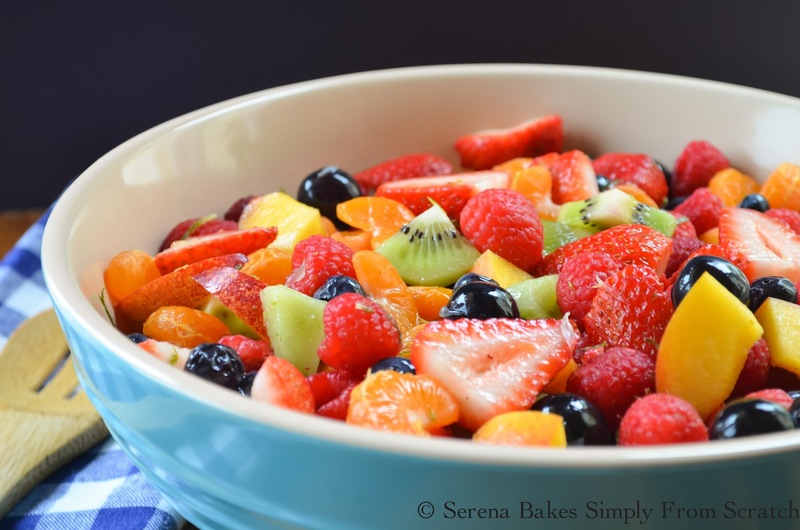 This fruit salad happens to be a summer time favorite with sweet raspberries, strawberries, blueberries, kiwi, black grapes, peaches and seedless clementine oranges tossed with lime-honey dressing. The lime and honey make the flavors of the fruit pop and will leave your taste buds tingling for more. 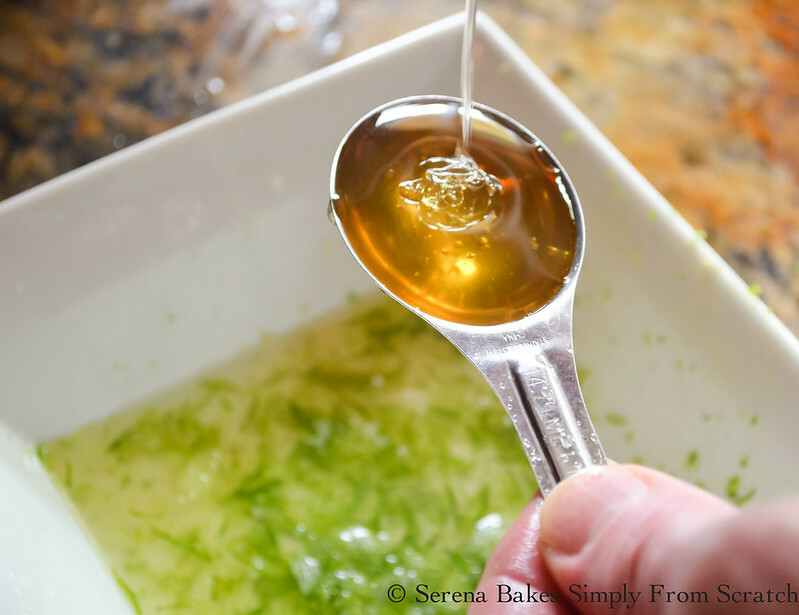 In a small bowl combine zest of 1 Lime, juice of 1 Lime, 2 tablespoons Honey and a pinch of Salt, mix until well combined. If you prefer things a little sweeter you can add 3 tablespoons Honey or if your fruit isn't really ripe. This Honey Lime Glaze is also a favorite served with papaya, it's amazing how the lime brings out the flavor of some of your favorite fruit. In a large bowl combine: 2 cups Raspberries, 2 cups Strawberries, 2 cups Blueberries, 2 cups Black Grapes, 3 whole peeled and diced kiwi, 2 whole diced Peaches and 4 whole Clementine Oranges peeled and segmented. Drizzle with Honey Lime Dressing and toss until well combined. You can serve immediately or refrigerate until ready to serve. A great easy to make recipe for all those summer picnics, barbecues and parties! An easy to make fruit salad perfect for picnics, barbecues and parties. Summer Berry Fruit Salad with Honey Lime Glaze will quickly become a favorite. In a small bowl combine lime juice, zest, honey, and salt. Mix until well combined. >In a large bowl add berries, grapes, kiwi, peaches and clementine oranges. Drizzle fruit with honey lime dressing and mix until well combined. This Salad looks delicious! Just in time for summer!I like that this salad is so simple to make without buying any complicated ingredients or having to go to many different shops. Summer Berry Fruit Salad With Honey Lime Glaze may become a summer favorite, stunning colors and great ingredients make this a winner for me!! What a fantastic (and original) idea for flavor and freshness; this salad looks perfect! That looks stunning. Sounds so refreshing, flavourful and yummy. Thank you a zillion times for this incredibly simple and fabulous recipe! !